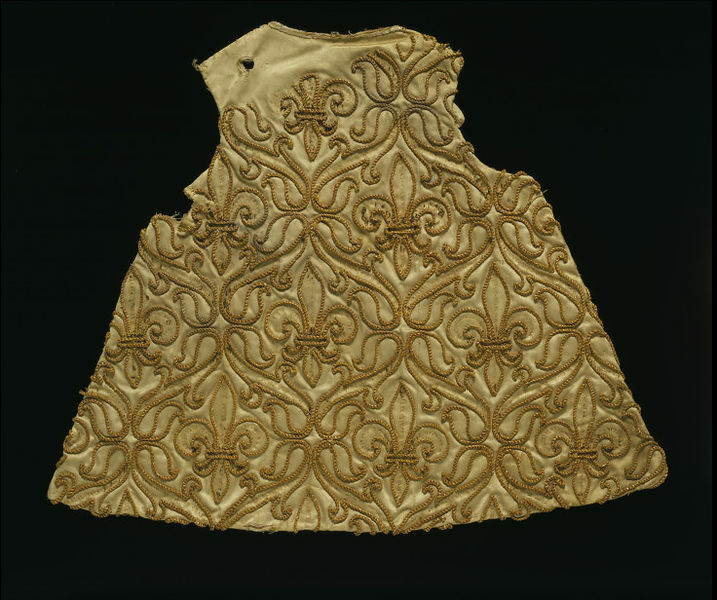 This straw plait decorated piece is probably the back of a small image robe (used to dress a religious statue). It was originally of crimson silk satin, but has drastically faded to cream. 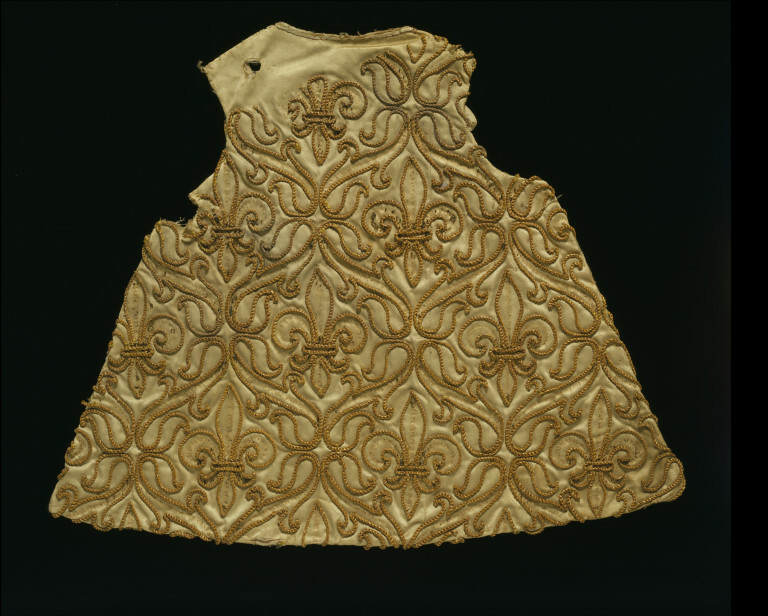 The robe is embroidered with two straw plait of whole stalks, couched with yellow silk to form a design consisting of scrolls forming ogee-shaped compartments which enclose a fleur-de-lis. 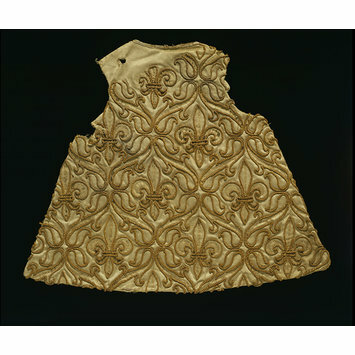 Traces of cut thread and discoloured stitch holes within the straw design suggest that precious embellishment has carefully been removed at one point. It is likely that the use of straw was intentional and of specific importance, perhaps dressing religious statues during Michaelmas. Maybe the local saint was dressed in a straw decorated robe to further empower the blessing and protection of next year's harvest.